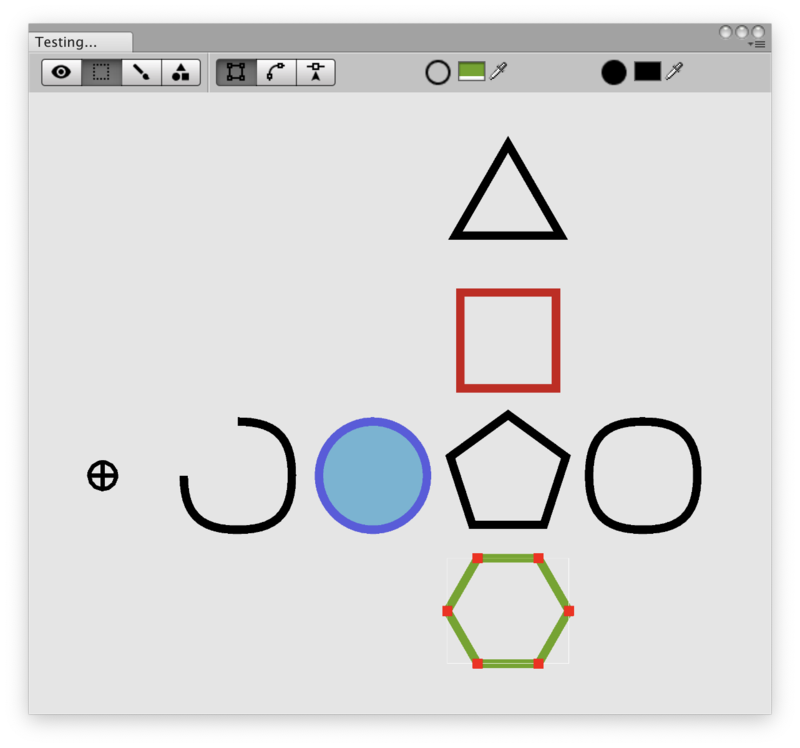 Simple editor window for making basic vector shapes for the experimental com.unity.vectorgraphics package. It uses some custom vector shape classes, but should be easy to modify for working directly with the Unity classes. The Unity Vector Editor source code is released under the MIT License. Contains the manifest file required for importing com.unity.vectorgraphics into your Unity project. For more information check the documentation in the Unity Vector Graphics Samples. Contains the C# source code for some simple utility classes representing basic shapes. Contains the C# source code for the custom editor window.